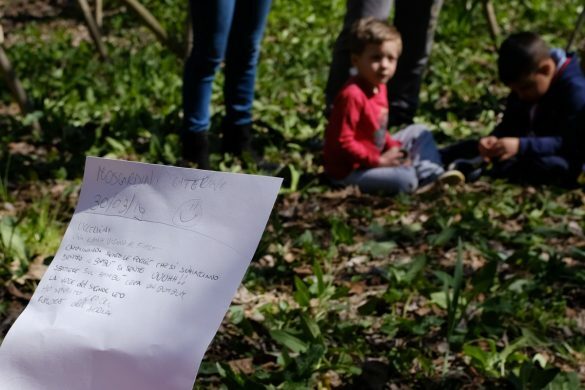 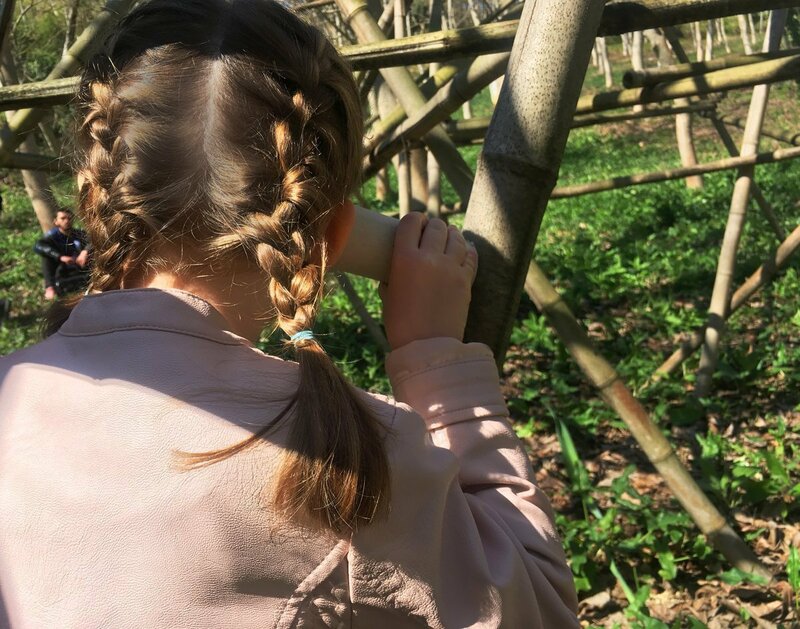 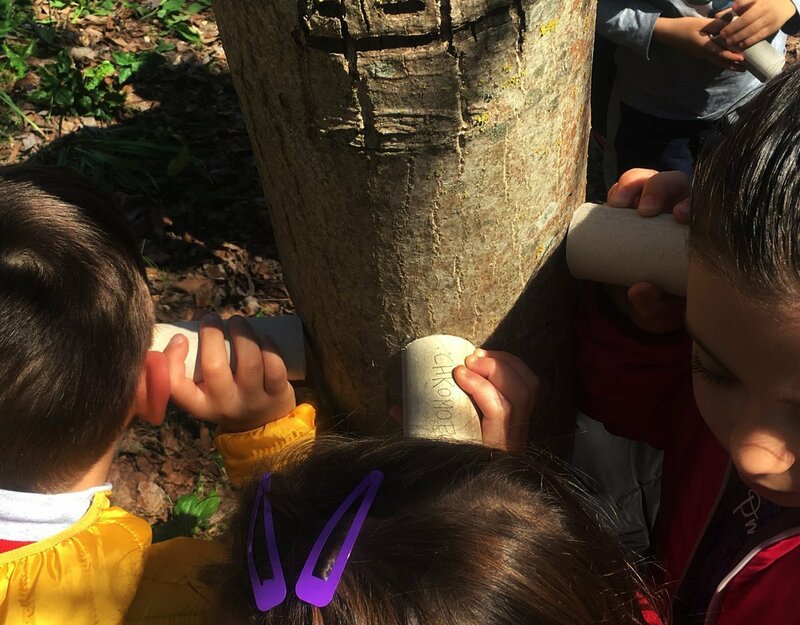 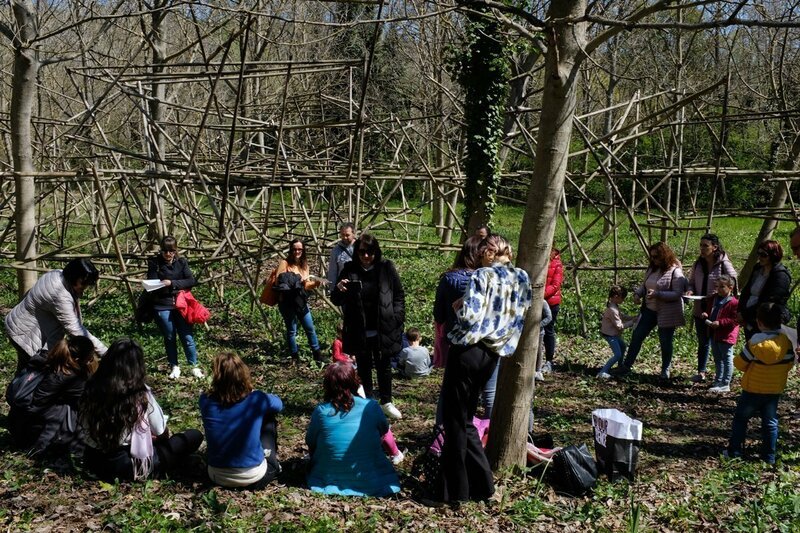 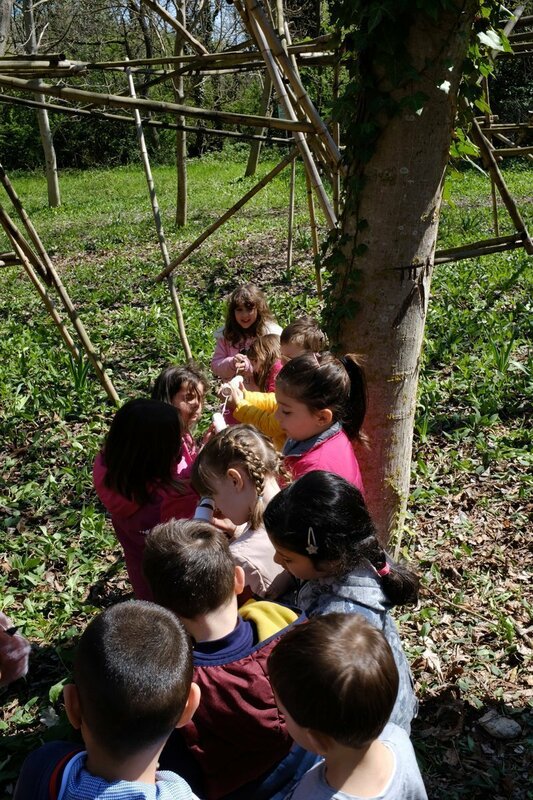 On Saturady 30th May the Comprehensive Institute of Loreto Aprutino organised an event in No Man’s Land dedicated to “Listening to Nature”. 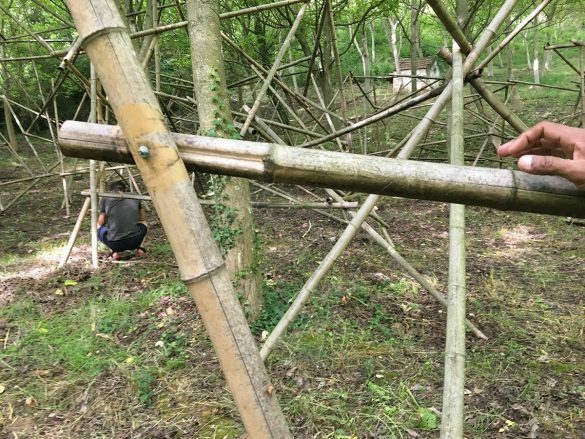 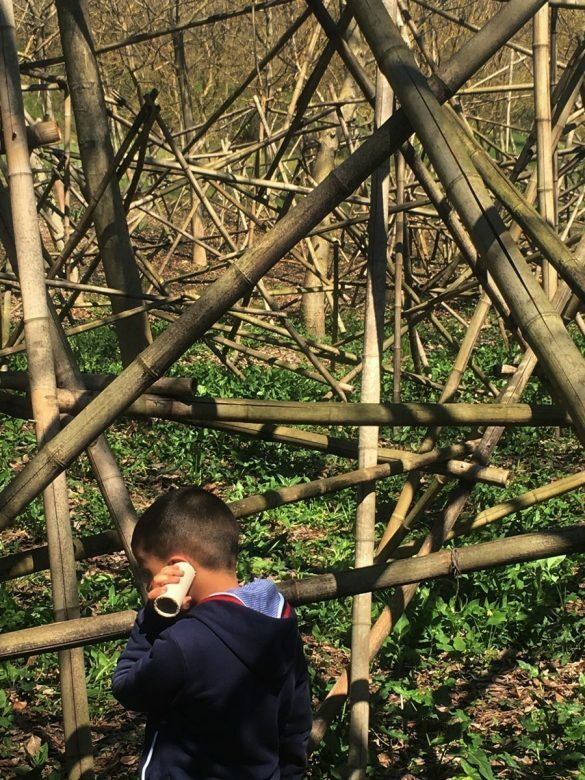 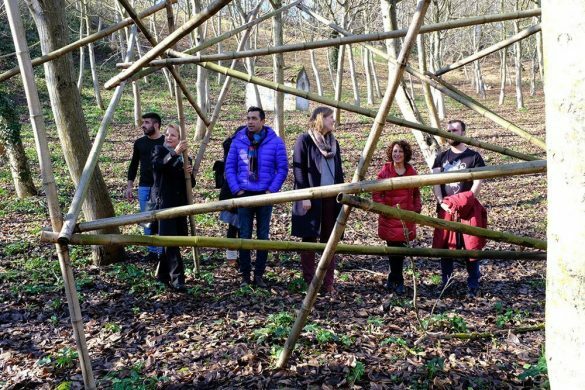 Professor Nicolao and Tristan Lavoyer took a lecture inside the bamboo structure. 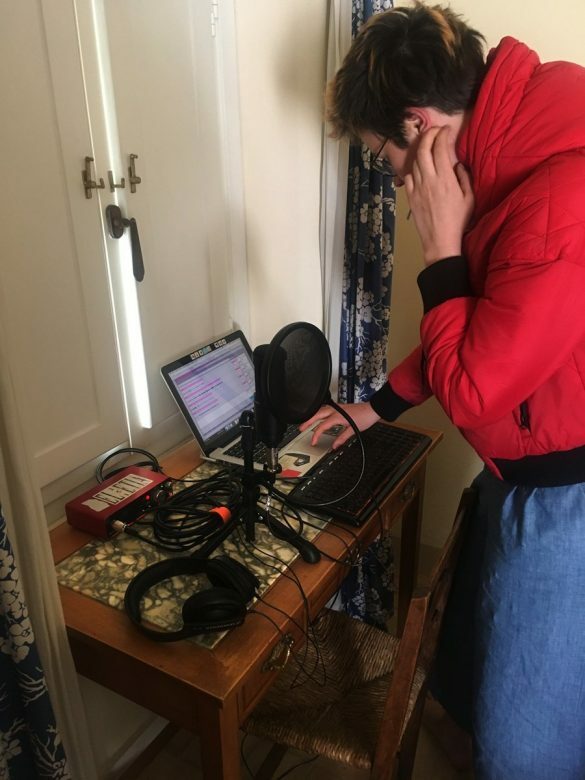 The students recorded audio and video materials for further elaboration. 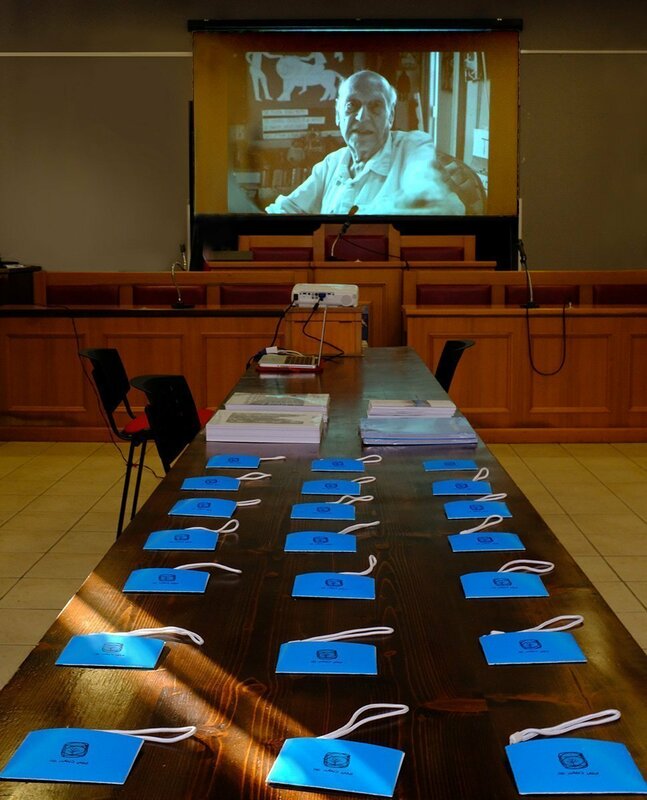 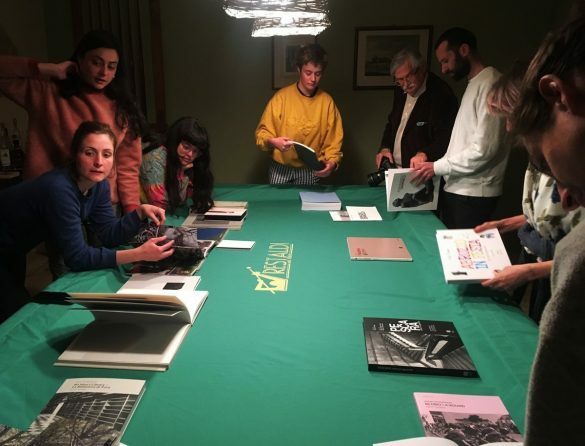 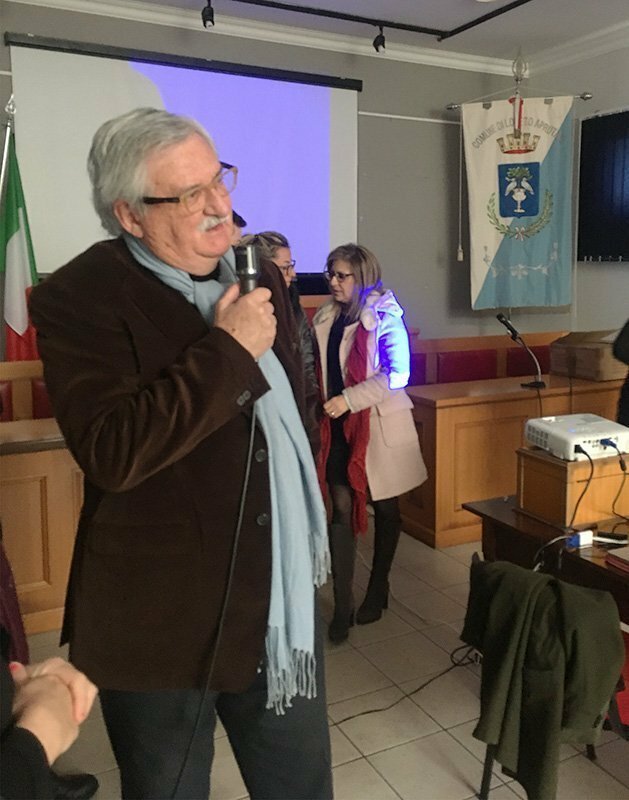 The evening was dedicated to the consultation of books by No Ma’s Land Foundation with the precence of the members of the Board Gino Di Paolo and Elena Petruzzi, who hosted the group at La Limonaia Terre di Varano. 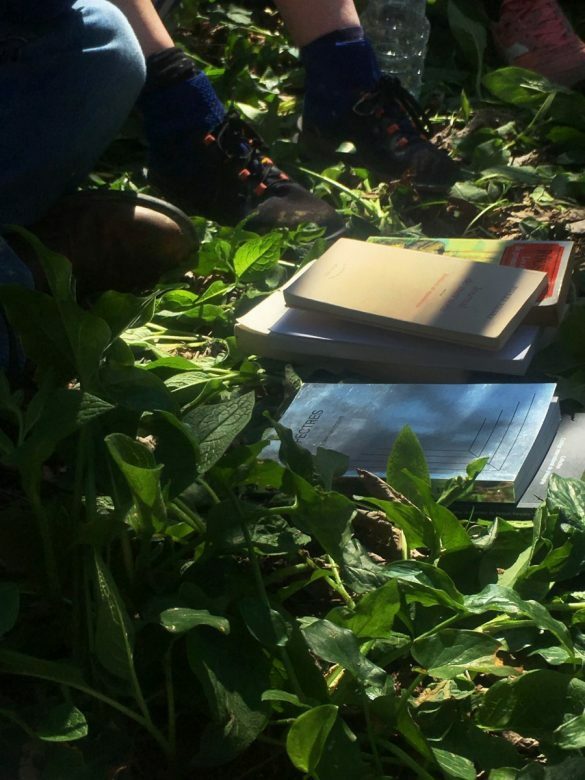 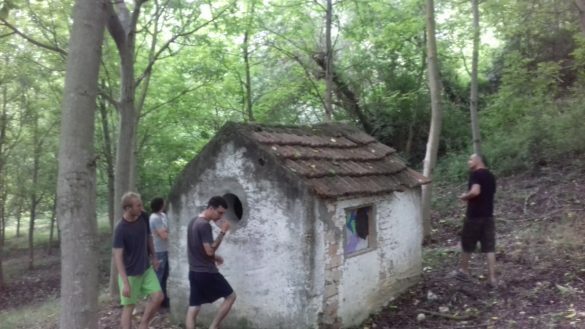 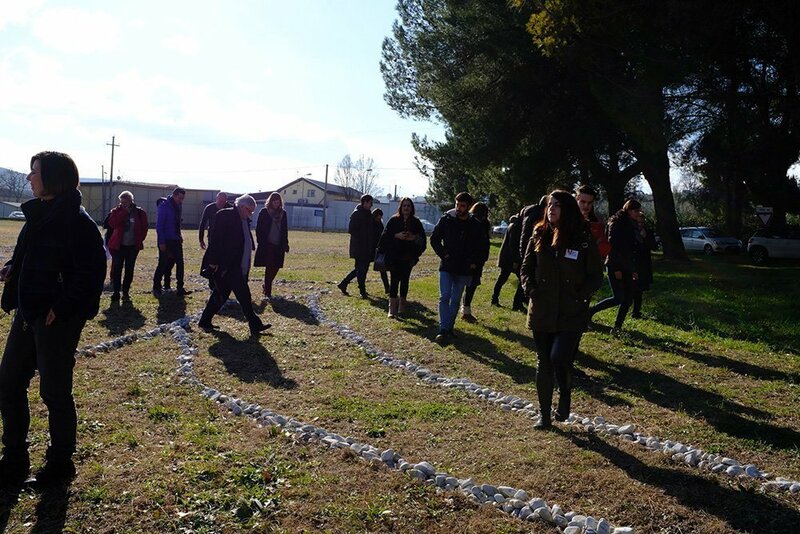 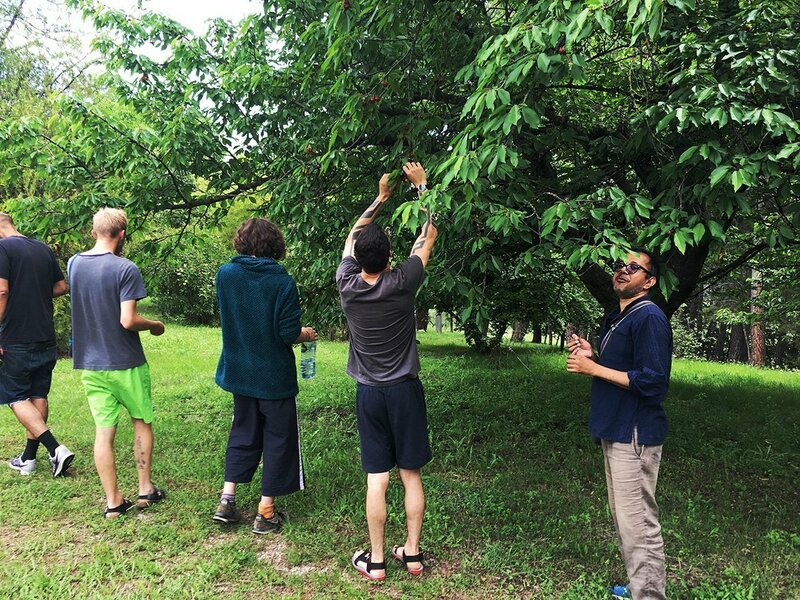 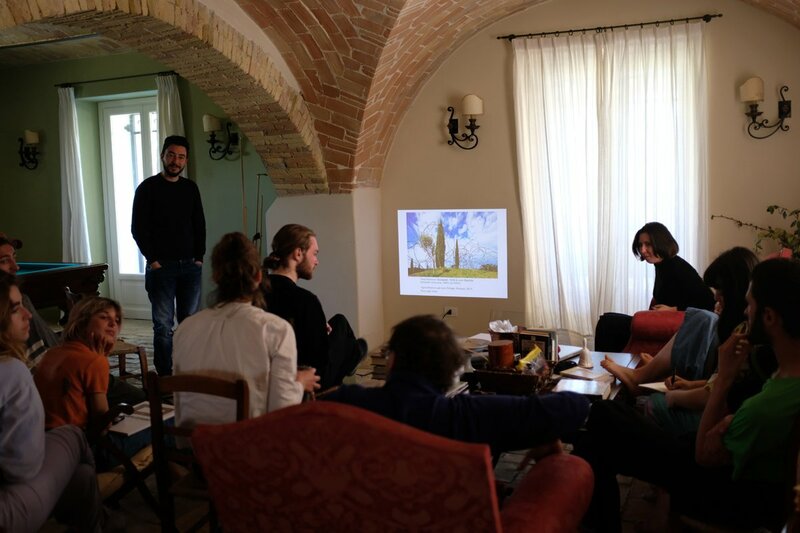 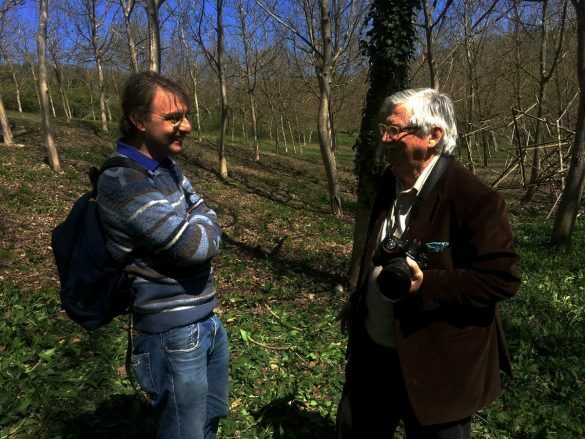 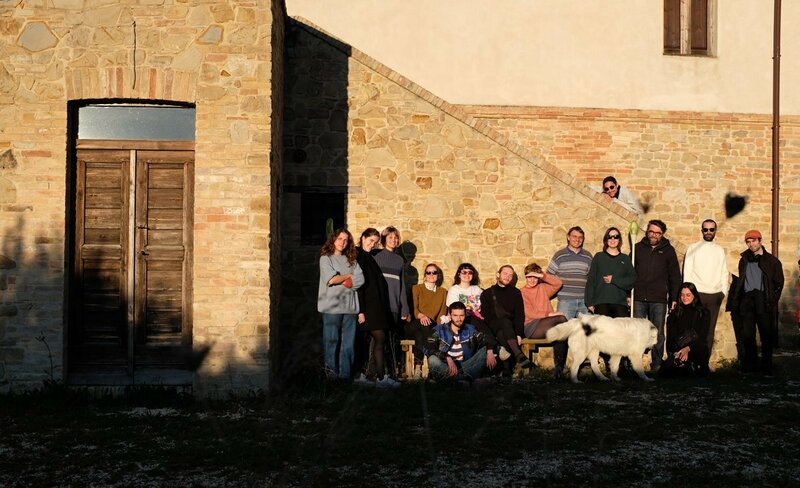 The group visited also Pollinaria of Gaetano Carboni, which works on the dialogue between art and agriculture. 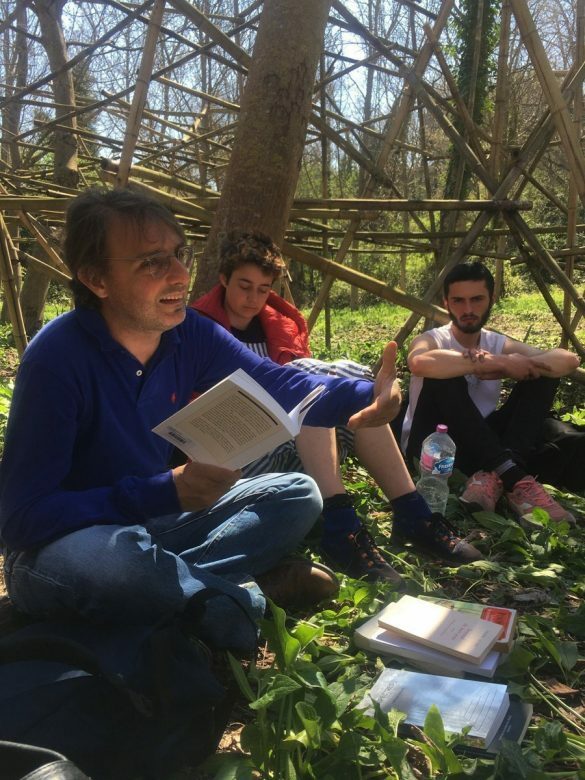 Sunday morning Simone Ciglia gave a lecture on his book “Il Campo Espanso”, followed by a discussion with the students. 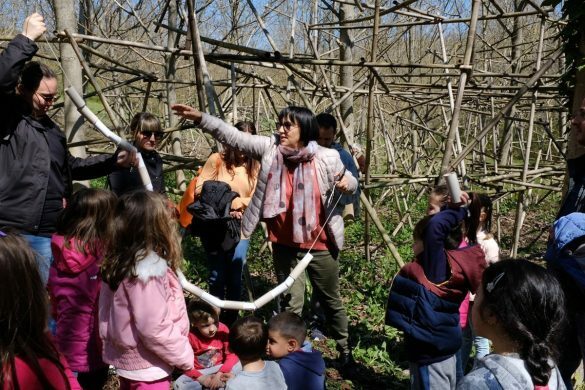 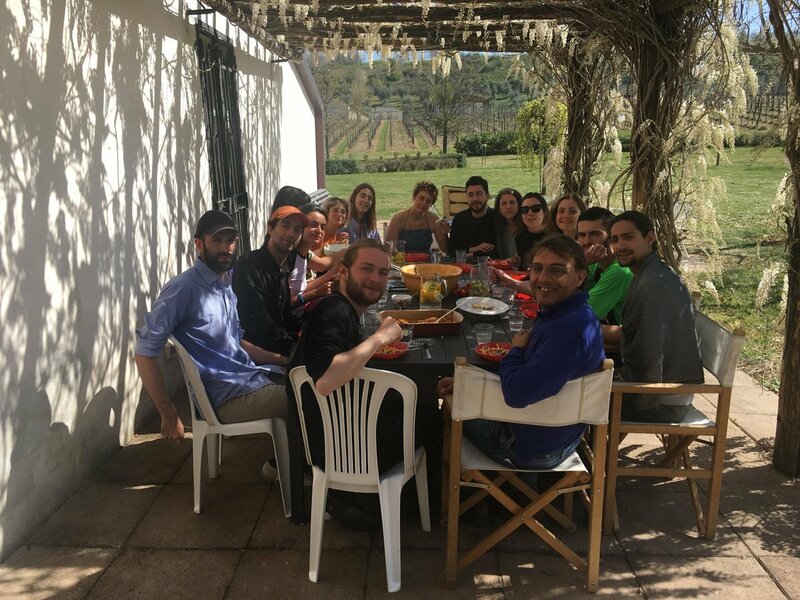 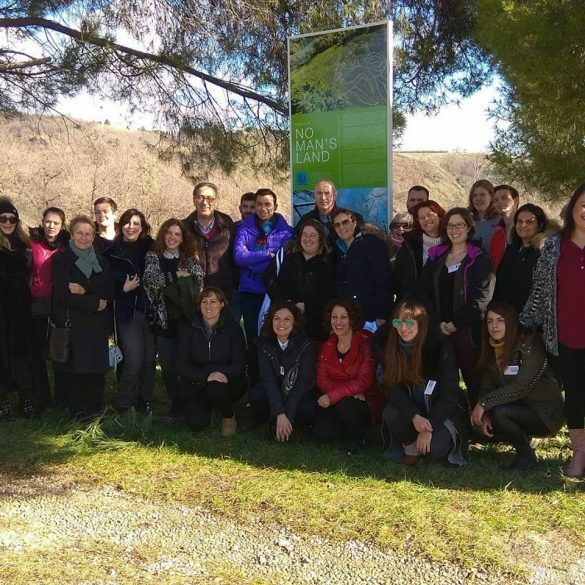 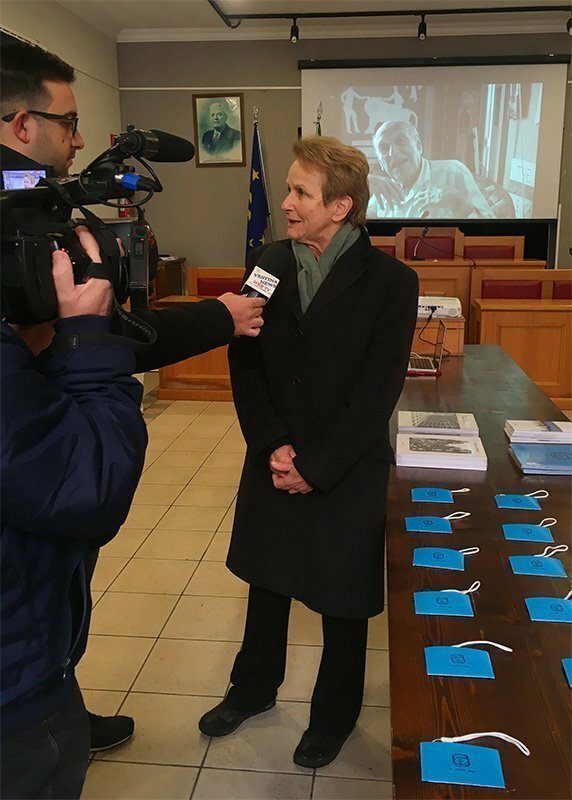 In the context of the program Erasmus + a group of twenty teachers, principals and some members of the Erasmus Committee visited Loreto Aprutino. 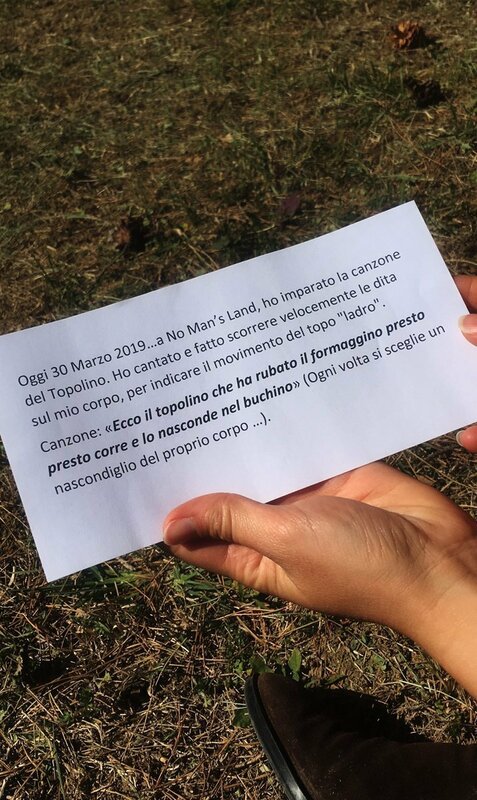 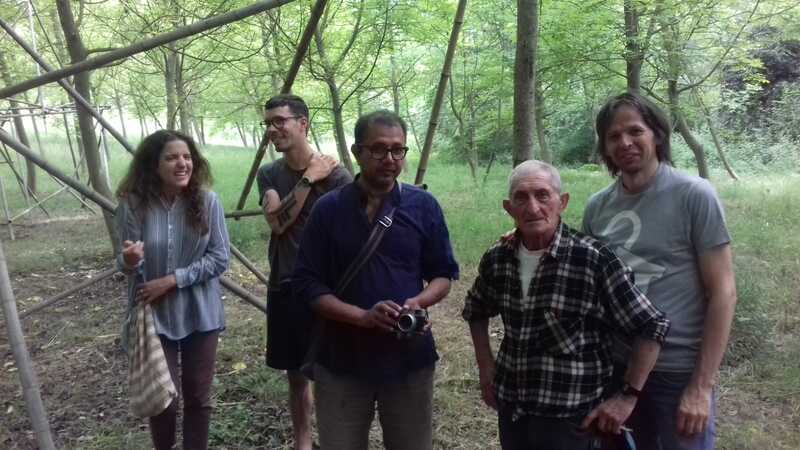 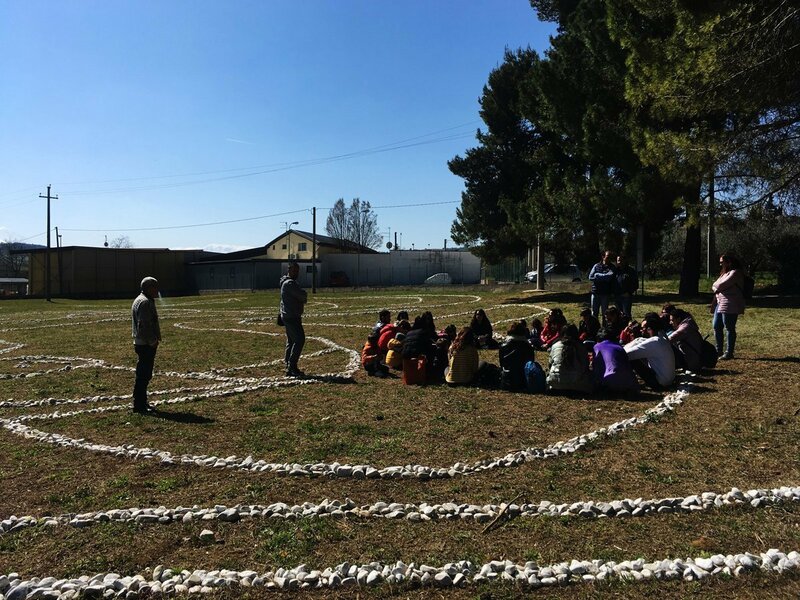 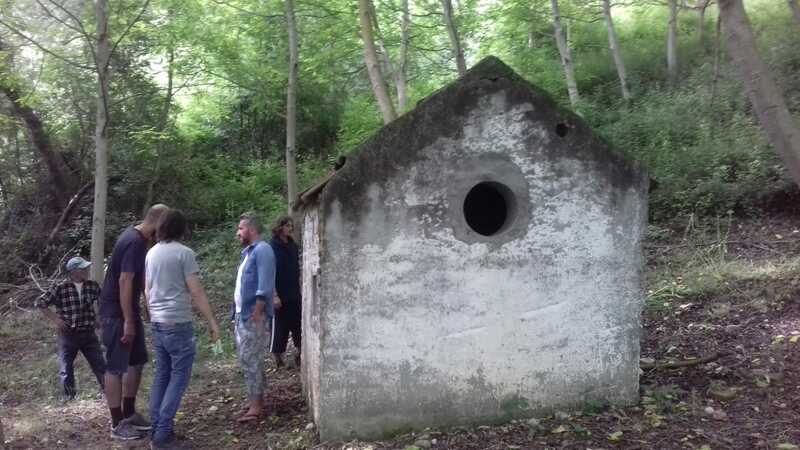 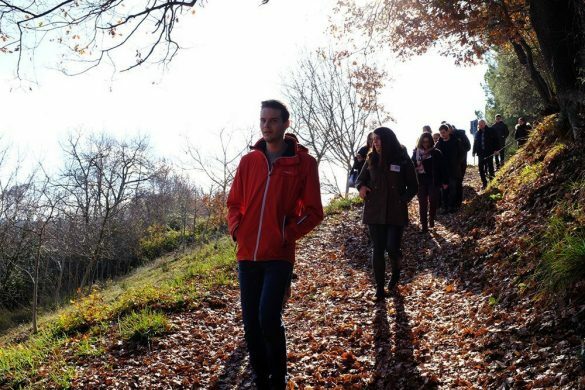 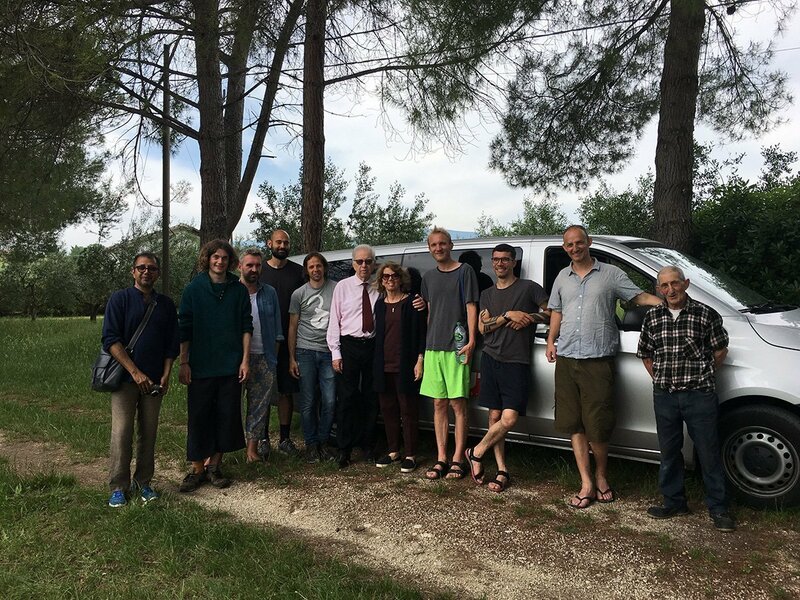 After a presentation of No Man’s Land Foundation the group visited No Man’s Land with the precence of the Mayor Gabriele Starinieri, Dora Stiefelmeier of the Scientific Committee and Gino Di Paolo of the No Man’s Land Board. 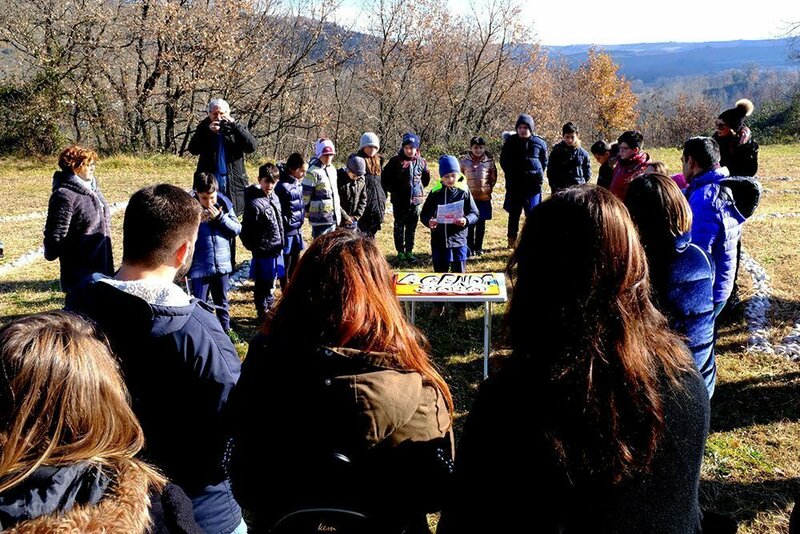 The children of Loreto’s school organised a little performance about the 17 ONU Objectives / 2030 Agenda.